Celebrate Halloween with this fun pumpkin hamper. 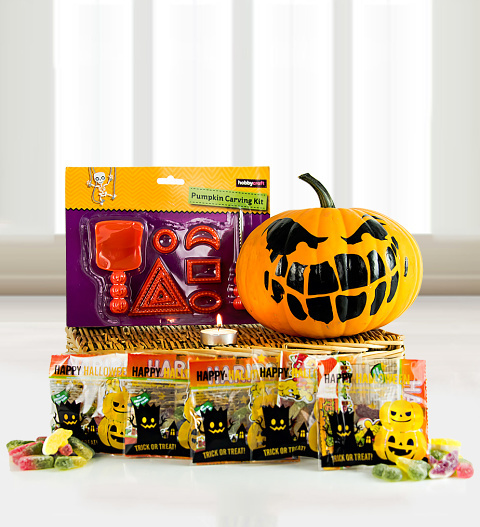 We have included everything you need to make your very own Jack-o'-lantern and sweets to savour or share with your loved ones! Send this Halloween gift basket to friends or family and help them enjoy this spooky holiday even more!